For the first time in Bihar, the six Left parties - CPI, CPI(M), CPI(ML), Forward Bloc, RSP, SUCI - have come together to fight the upcoming polls. But despite declaring the NDA as their main enemy, they are going it alone rather than joining forces with Nitish Kumar's Grand Alliance. And they are hoping to contest all 243 seats. Will the Left end up serving the BJP's cause instead, given that it's too marginal a player to provide a credible third alternative? 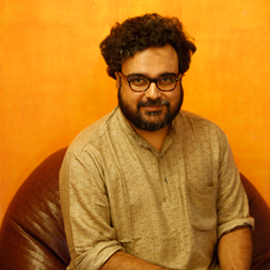 Dipankar Bhattacharya disagrees. 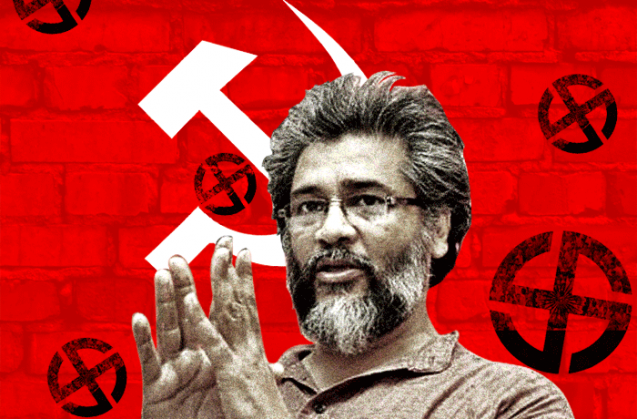 In this interview with Catch, the CPI(ML) general secretary explains why the Left didn't ally with the Grand Alliance and why it'll emerge as a force to reckon with in Bihar. Is the Left strong enough to emerge as a viable third front in Bihar? See, in the last assembly election, the Left's performance was very poor. But if you look beyond that, the Left has always enjoyed a strong influence in the state. We had a strong presence in the assembly as well. And given the support we are getting today, I believe the Left would surely emerge as a strong alternative. This contest is essentially a direct fight between the NDA and the secular Grand Alliance. Won't the Left fighting separately hurt the secular front? This is a very narrow and misleading way of looking at it. Anyone with even a basic understanding of the electoral processes will tell you that the Left fighting separately won't help the NDA. In fact, it works against the BJP. Don't go with the electoral arithmetic. The important point is that the BJP is not an external party here. It's not just LK Advani and Narendra Modi trying to enter Bihar. The BJP has grown in Bihar from within; its roots are in the feudal class. This is where parties like the RJD and the JD(U) have failed miserably - in taking on the feudal powers that have been engaged in killings, massacres. The aim of defeating the BJP isn't restricted to Bihar. It's a long-term strategic goal and only the rise of the Left as a powerful force can achieve it. To begin with, we have to weaken the feudal influence in Bihar. You are saying the Left can take votes away from the BJP in Bihar. How? Nitish Kumar has been in power for the last 10 years and for over seven of those, the BJP was his partner. And all along, the Left was fighting his government on major policy issues such as employment, rural development, people's welfare, democracy and justice. If today, the Left just abandons all that and joins the so-called Grand Alliance in the name of restricting the BJP, it might actually strengthen the case of the BJP given the anti-incumbency against Nitish Kumar. On many seats where the Left is an important player, our going alone might actually work against the BJP because there are lots of people who don't want to vote for either of them. They will vote for us. How many seats is the Left alliance going to contest? We want to contest as many seats as possible. But it's not like we are bound to contest all 243 seats. Each of the six parties is assessing how many strong candidates they can put up and based on their assessment, we will decide how many seats we will contest. Is there any possibility of more parties joining the Left alliance, like the SP or the NCP, which have partnered some Left parties in the past? The Left Front is confronting the Samajwadi Party in Uttar Pradesh, so it doesn't make sense to join hands with any of them. They should form their own alliance. The Left parties have a lone MLA in Bihar. Why would people vote for a front with such a weak presence even if they don't want to vote for the BJP or the Grand Alliance? Yes, there is only one Left legislator, of the CPI. But the Left won several seats in the assembly between 1990 and 2012. And we stood second on many seats. People vote based on local considerations. So, in constituencies where the Left has a solid presence, where we have been leading the people's struggles 365 days a year, why won't the people not consider the Left. It's faulty logic that people will vote only for big parties. By this logic, there should be no small political parties in the country. Individuals do win, small parties win. I think people have their own considerations. And who says we are weak? This is first time that all six Left parties are coming together. In 2010, we had some sort of an understanding but that was restricted to the state units of the parties. This time we have an understanding at the central level too, which has resulted in a new tactical perception. That perception is that the unity of the Left and its independent assertion must be given top priority in the interest of our democracy, in the interest of people's movements. We shouldn't be just tying up with other parties because that erodes our credibility. Will this new model of Left unity be replicated elsewhere? I won't say it would be universally replicable. In states were the Left has been in the power, there are major policy difference among the Left parties. In West Bengal, over the whole question of land acquisition; in Kerala, there are issues over the party democracy. But by and large, this could be an ideal model for the Hindi-belt states. This is not an extension of the Left Front of West Bengal. As of now, this is a Bihar-specific united left block. In Bihar, we are an important party. Other Left parties that have been tying up with the RJD, JD(U), Congress have realised that we have not shifted our position. This understanding has not come from the top, it has come from the ground. It's been a bitter experience for the Left cadre that even parties like CPI which had a strong electoral presence in Bihar have become pale shadows of their former selves. This new Left alliance is built on new wisdom. I hope it will be a lasting alliance and paves the way for unity at the national level.